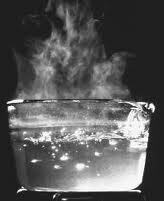 Boiling Water :212 - The Extra Degree with FREE DVDAt 211º water is hot. At 212º, it boils. And with boiling water, comes steam. And steam can power a locomotive. The one extra degree makes the difference. This simple analogy reflects the ultimate definition of excellence. Because it's the one extra degree of effort, in business and life, that can separate the good from the great. This powerful book by Sam Parker and Mac Anderson gives solid examples of how to incorporate the 212º philosophy into all aspects of your life - at work, with friends and as a parent. Great quotes and great stories illustrate the 212 - The Extra Degree with FREE DVD concept in a memorable format. A warning… once you read it, it will be hard to forget. 212 Extra Degree, Boiling Water :212 - The Extra Degree with FREE DVD From Laura J. Hamblin of Dallas, Texas. Thank you! Thank you for putting together such a simple, but powerful, message in 212° The Extra Degree. Every store in our division has the DVD and we have designed our service program around the 212° message. Associates of all ages and backgrounds are embracing it and we're starting to see the positive difference in our service levels. Like a locomotive, I can't wait to see where it will take us! •Recently one of our clients shared their success with instilling the 212º philosophy through out their organization. Click here to download the full report. •Learn how the 212 approach to life will impact your business and your life •Use the 212 - The Extra Degree with FREE DVD to open your next team meeting and give the book as a meeting takeaway •Recommended reading for team building, personal development, sports teams and schools.